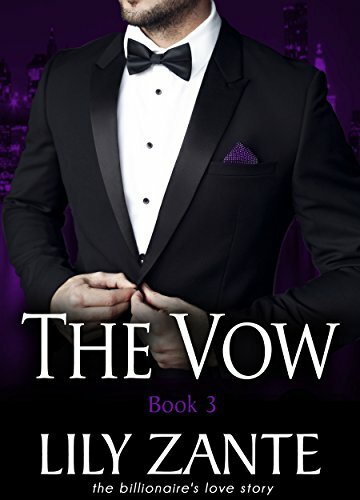 The Vow, Book 3 (The Billionaire's Love Story 9) (English Edition) bei Whooopeee - Günstige Angebote Online Shopping machen. This is the final installment in 'The Billionaire's Love Story', a billionaire contemporary romance serial set in New York. Savannah Page is a struggling, debt-ridden single mom, trying to make a living in New York with her young son. Tobias Page is a ruthless billionaire, tortured by the events of his tragic past. That they met at all, was a miracle. That they got together, was pure fate. But both are transformed and healed by coming together. For Savannah, it means finding the kind of happiness she never dreamed of and falling in love with a man who cherishes her. For Tobias, it seems as if life has given him a second chance for life and love, and a future he believed was lost to him forever. Now, he contemplates a life with Savannah and Jacob by his side. But it's a life that others aren't too happy about. And he won't give up. Because sometimes you only get one chance to find your soulmate.